MeijiShowa brings the past to life. Established in 1994, Off the Fence is an independent television distribution and production company, specialising in non-fiction programming for the international marketplace. The company co-produces with broadcasters such as Animal Planet, National Geographic, BBC, Discovery, Voom, NHK, France 5, France 3, Arte, Canal Plus, BR, ZDF and NDR. The company has won an endless list of awards for its documentaries at competitions and festivals all over the world. They are well-known for extremely high production standards. When Off The Fence needed old images of both Japanese emperors and citizens, they turned to meijishowa. It was a bit like shopping in a supermarket; at a single location—meijishowa—the producers were able to find no less than six images that were both appropriate and up to their high standards. 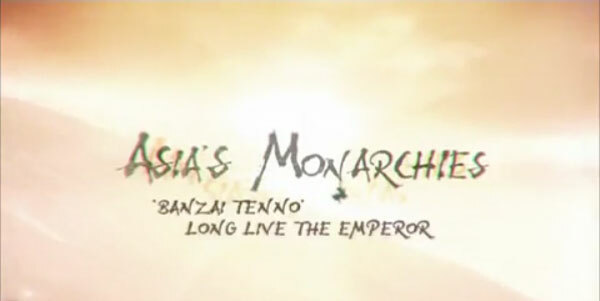 Asia’s Monarchies received a commendation at the Asia-Pacific Broadcasting Union Prizes 2010 in Japan. At meijishowa, we bring the past to life.